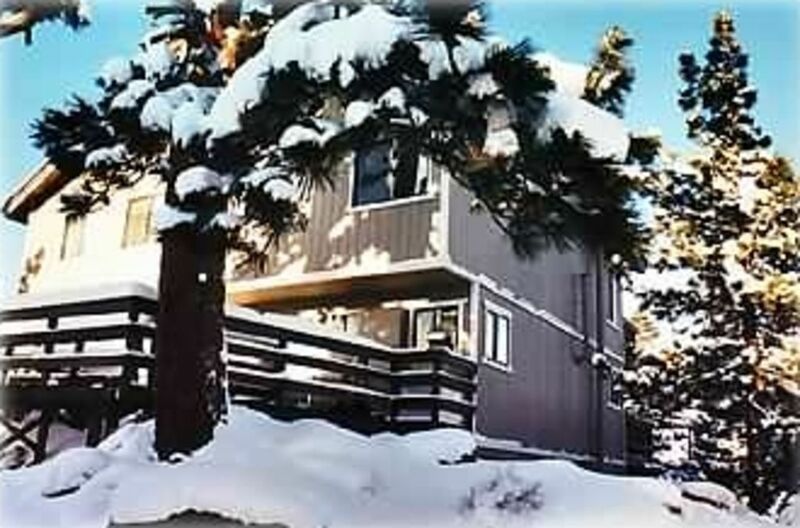 Minutes from HEAVENLY ski lifts and KIDS SKI SCHOOL. IDEAL for 2 small FAMILIES to share. SLEEPS 4 adults in beds, KIDS in SLEEPING BAGS in loft. The Firehouse is a duplex, attached to one other unit. Noone above you, not part of a big complex. That's why we think our place is so special. It's like a private residence. Just a 3 minute drive to ski lodges, 10 min drive to casinos and restaurants, one hour from Reno Airport. Other ski areas as KIRKWOOD - 30 to 60 min away. UPSTAIRS: two bdrms, queen bed in each, small loft in one bdrm, JACK & JILL bath between. DOWNSTAIRS: well equipped kitchen, breakfast bar, half bath, living room, a beautiful porcelein gas burning stove, sofa, 2 leather recliners, fire-patch collection, BBQ, table & chairs on deck. KITCHEN AMENITITES: well equipped kitchen plus paper goods, soaps, cleaners, etc. We have anticipated your needs. You will need your own groceries and maybe some favorites games and movies. THE FOX & HOUND Our favorite pizza and beer place, right around corner. David Walley"s Hot Springs Spa in GENOA, historic resort built around natural hotspring pools, a fabulous ***** restaurant and a great sandwich shop. SEE the OLDEST BAR in NEVADA, SHOP...VIRGINIA CITY, get a taste of the old west 30 min away. NORA WRITES, "We enjoyed staying at The Fire Place so much! It's beautiful - just exactly the way it's described on the web-site. I am a travel agent and we've seen many places where that is not the case, so we were pleasantly surprised." DAVE and SUE WRITE, "I just wanted to let you know how much we loved staying at The Fire Place. The view was absolutely beautiful. Even though Dave's not a fireman's we thought the decor was so neat and creative. It really adds to the condo. We appreciated all of the instructions and little signs throughout the condo, too. You've anticipated any questions that anyone might have. Everything was great; we wouldn't change a thing. Thanks for letting some non-firefighters use and enjoy your vacation home. Sincerely, Sue and Dave." Barbie and Jim Nellesen have owned this cabin since 1993. Jim is a retired Fire Captain from Anaheim Fire Dept. We raised our family vacationing in Tahoe and the kids have great memories. Jim's 33 year fire career inspired us to create the fire house theme. The best part is meeting all you folks and being a part of your good times at The Fire House. Barbie says, 'When I saw the view, I told the Captain that this was the place for us.' The views are brreathtaking and they always thrill us no matter how many times we see them. We fall in love with the place every time we come. Watching from our deck is a panorama of seasons, days & nights, sunsets & sunrises. It's really awesome. You actually can feel the tension leaving your body by the 3rd day. Secluded is the word. Away from busy highways, hustle and bustle of downtown, commercial venus. All that is down by the lake and casinos. Real privacy. No one can see into your place from any other place around. It is totally supplied with everything that you will need to be comfortable. The terrain around is very rugged and natural. The views took our breath away. Breathtaking lake views. Keep you in awe all day as you watch from sunrise to sunset and then __ twinkling lights of South Lake puts you to sleep. Tall pines, natural boulders, steep terrain, gorgeous view of the lake on one side and the valley on the other. Sitting high on pinnacle of the mountain. HD TV, No satellite or cable at present time. Bring or rent your favorite movies to play on the DVD player. Our cabin is a little rustic and a lot charming, a perfect place to relax, refresh and regroup, a complete kitchen, complimentary bottle of wine, DirectTV with DVD player, new simulated woodburning stove, 2 queen beds, new 7 foot sofa, towels & bed linens, deck with gas BBQ, table/chairs, the great outdoors and unbelievable views. Casinos; gambling, shopping, restaurants, live shows & comedy, antiquing and Wally's Hot Springs Spa.